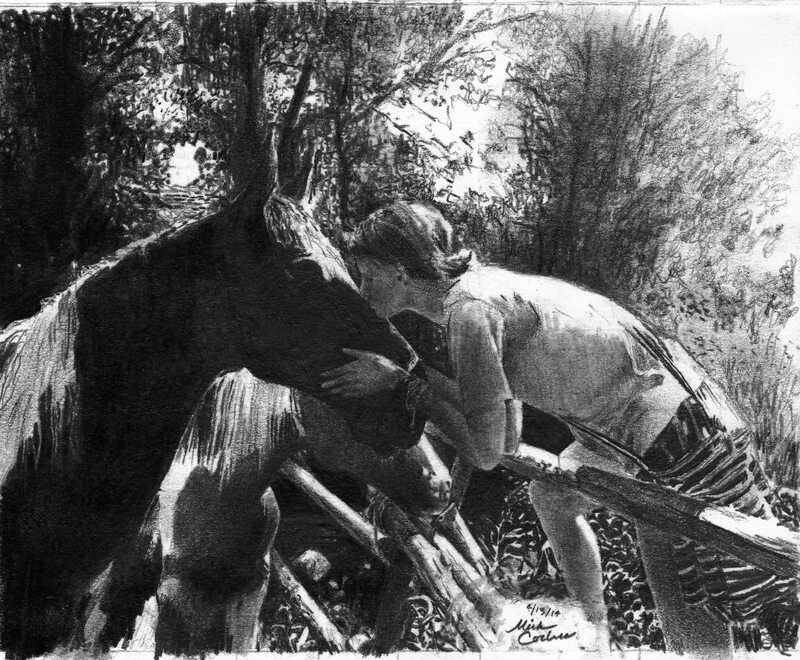 This drawing was based off of a photograph i took while in Mali, Africa. I used the drawing and photograph for my AP Studio Art class, so it is one of the pieces that helped me achieve a 5 for my AP Score. In the summer of 2013 in Colorado my sister and I went to bike. We found these horses in a field between a split in the Yampa River. I also used this photo to complete my AP Studio Art portfolio. 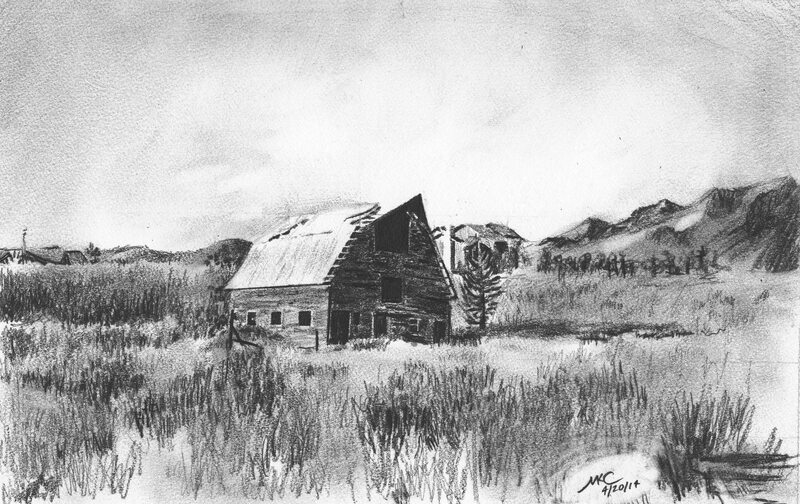 Yet another Colorado drawing. the original picture I took features a very old barn that is starting to fall apart. It sits at the foothills of the mountains. This was also part of my AP portfolio. 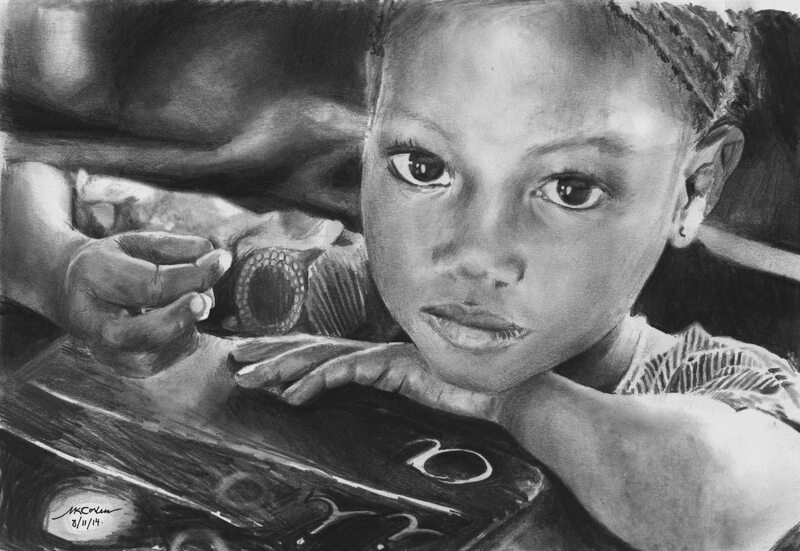 This is a drawing of a young girl at the Siraba School in Mali, Africa.The photograph was taken by Mrs. Abby Hayo during the trip we took this January, the same trip as mentioned earlier where i photographed the African boy.